Kerouac's musical legacy goes well beyond the studio recordings he made himself: his influence infused generations of music makers who followed in his work – from singer-songwriters to rock bands. Some of the greatest transatlantic names – Bob Dylan and the Grateful Dead, Van Morrison and David Bowie, Janis Joplin and Tom Waits, Sonic Youth and Death Cab for Cutie, and many more – credited Kerouac's impact on their output. 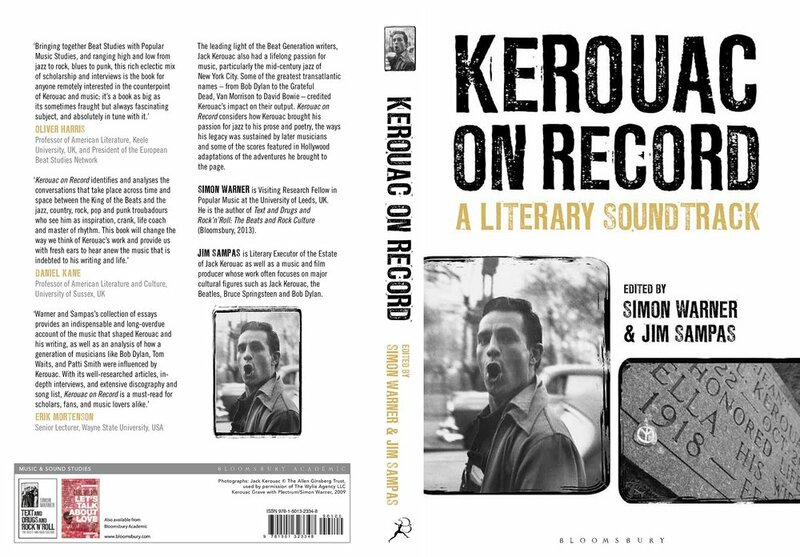 In Kerouac on Record, we consider how the writer brought his passion for jazz to his prose and poetry, his own record releases, the ways his legacy has been sustained by numerous more recent talents, those rock tributes that have kept his memory alive and some of the scores that have featured in Hollywood adaptations of the adventures he brought to the printed page. Jimmy Page holding Kerouac on Record in his left hand, the book Simon Warner and Reimagine Music founder edited for leading publisher Bloomsbury. In Page's right hand is Simon Warner's other brilliant work Text and Drugs and Rock and Roll: The Beats and Rock Culture. Also look for poster of film Sampas produced One Fast Move Or I'm Gone: Kerouac's Big Sur in the background. Listen to Ghettoblaster song premiere of Brothertiger's "transcendent version of 'The Working Hour.'" The Cure’s vision has been masterful from the very start, and the band’s melodic, mournful pop has become a musical right of passage to the world of rock n roll. Reimagine Music is pleased present Love Cats: A Tribute to the Cure, a new collection of recordings by a select few of the best in indie rock including Tancred, The Crookes, Minipop, Canopy Climbers, Sealions, Hayley Richman, The Worm Is Green, Dowsing, Grace Kelly, The Hotelier, and The Guessing Game. 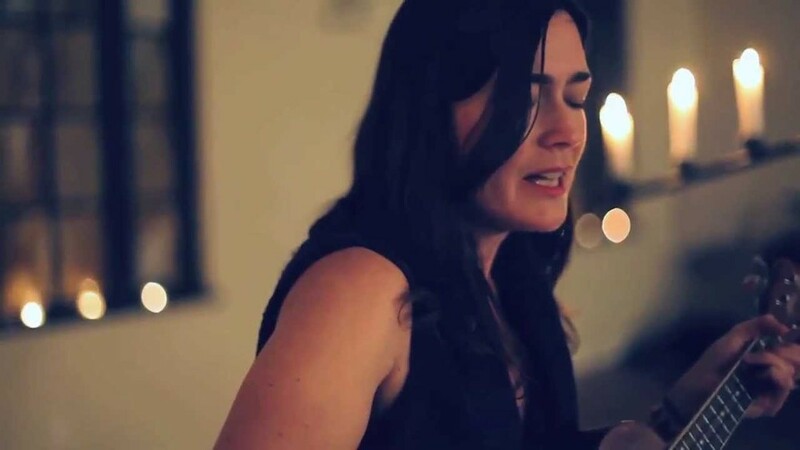 Each group plays their own version of these adored songs with a stirring sense of confidence, and the resulting tracks vary in both depth and approach. Preview and Purchase Love Cats: A Tribute To The Cure! Pitchfork Premiere The Hotelier Cover of The Cure's "Doing The Unstuck"
Listen here to Stereogum song premiere of Brothertiger's "reimagining in the truest sense of the word" of Tears For Fears' "Everybody Wants To Rule The World." Listen to Cover Me Songs song premiere of Brothertiger's "propulsive and vibrant, faithful to the original without sounding remotely dated" cover of "Shout." Stereogum Premiere Tancred Cover of The Cure's "The Figurehead"
Cover Me Premiere Dowsing Cover of The Cure's "Push"
LVBX Premiere Canopy Climbers Cover of The Cure's "Friday I'm In Love"
David Bowie was a maverick amongst the sound and scope of rock music. His radical approach electrified the early 1970s rock scene with songs that braided psychedelic sensibilities and abstract lyricism, and to this day, his achievements have maintained one of the biggest followings in rock history. As New York Times wrote on his passing, David Bowie "transcended music, art and fashion...earned admiration and emulation across the musical spectrum — from rockers, balladeers, punks, hip-hop acts, creators of pop spectacles and even classical composers..."
David Bowie's radical approach electrified the early 1970s rock scene with songs that braided psychedelic sensibilities and abstract lyricism, and to this day, his achievements have maintained one of the biggest followings in rock history. John Vanderslice Plays David Bowie’s Diamond Dogs is the first album of our “Plays Series” wherein a single innovative and accomplished recording artist or band interprets iconic works of the past. More info on Plays David Bowie's Diamond Dogs. Preview and purchase on: iTunes and Amazon and everywhere digital music is sold! Looking Through You: A 50th Anniversary Tribute to The Beatles’ Rubber Soul boasts the cutting edge of today’s music scene: Bombadil, The David Mayfield Parade, So Many Wizards, The Pride of Erie PA, Admirals, Woodpigeon, Cereus Bright, Tyler Lyle, The Blackwater Fever, Swear and Shake, Blessed Feathers, The Daydream Club, The Love Language, Olin & The Moon, Nemes, Kid In The Attic, and The Kirkendall Gang. Preview and purchase Looking Through You, and Tomorrow Never Knows and everywhere digital music is sold! No Depression? Sounds like the tagline to an ad for a new wonder drug. But the potently titled 1990 debut album by Uncle Tupelo, had nothing to do with an instant chemical solution, rather a cure… a rip-roaring parade of country punk. This supercharged young trio – with guitarist Jay Farrar (Son Volt) and bassist Jeff Tweedy (Wilco) joined by Mike Heidorn on drums. The primeval power of their premiere record would go on to christen a wave of restless, ragged country-fired rock. Lee Zimmerman in Blurt Magazine writes "There are any number of landmark albums that critics are quick to label as essential, but given the fact No Depression jumpstarted an entire genre, none deserve that label more." On The Brighter Side: A 25th Anniversary Tribute To Uncle Tupelo’s No Depression a select few of the best artists in Alt Country and Indie Rock bring their talents together to re-imagine the album a quarter century later: The Last Bison, Bodies of Water, Big Sky Blue, Wooden Sky, Peculiar Pretzelmen, Elliott BROOD, Crow Moses, Leeroy Stagger, Smoking Popes, David Stuart, Mikaela Davis, Cheap Girls, and Beta Radio. "Unlike most tributes that hit the streets these days, Tease Torment Tantalize dares to take liberties with the material, often veering sharply from Morrissey’s somber soliloquies while moving into other realms far removed from the Smiths’ gilded tomes. It’s an intriguing experiment at the very least, but given the imaginative treatments offered here, it’s also a new experience entirely. "Our cup runneth over with the glorious all-female lineup..."